When you’re writing a novel, it can be tempting to take a paragraph to describe every tiny last detail of how character looks. After all, you’ve spent so much time imagining your character and what he’s doing that you can see him vividly, even down to the brand of jeans he’s wearing. But let’s talk about why you might not want to describe your character to the last detail. If you spend a paragraph, or maybe more, describing your character’s look and fashion choices, you could risk your readers skipping ahead to reach the dialogue or the action–you know–the good stuff. Part of the reader’s experience of your story is picturing it as it happens. This includes what the characters look like. Don’t be too quick to control what the reader gets to imagine. Usually character descriptions come at the beginning of the novel in an attempt to tell us what our character is like based on his (or her) appearance instead of showing us his (or her) character in action. Give your character something to do and sprinkle in bits of description where necessary. And now I’m going to use examples from Harry Potter and the Sorcerer’s Stone, of course, because I think J.K. Rowling models this practice excellently (as per usual). [Mr. Dursley] was a big, beefy man with hardly any neck, although he did have a very large mustache. Mrs. Dursley was thin and blonde and had nearly twice the usual amount of neck, which came in very useful as she spent so much of her time craning over garden fences, spying on the neighbors. One sentence for each character, and we have what we need to know. 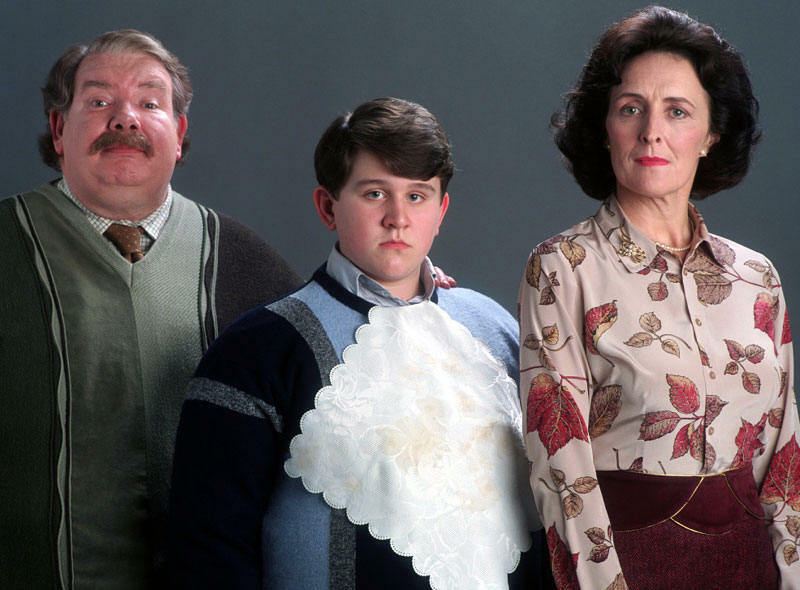 We learn a little later that Mr. Dursley wears boring ties and that Mrs. Dursley has a shrill voice, but those details come in the moment, as needed, not all in a clump at the beginning. Especially if the characters you are describing are minor characters, there’s little to no need to get more detailed than this. The reader is perfectly capable of filling in the rest. A lot of times, writers try to shove the details of their main character onto the reader at the beginning of the story because it’s something that they feel the need to get out of the way and then they never return to it again. Instead of spending a paragraph writing description that your readers are willing and able to fill in for themselves, choose details that will reveal something important about the character or that makes him different from other characters. And now an exception to the rule. When introducing the main character, Harry, Rowling uses almost a paragraph to tell us what he looks like, but as you’ll recognize if you’ve read book before, nearly all of his features–from the color of his eyes to the scar on his forehead–end up having some significant role in the story, in the entire series, even. Perhaps it had something to do with living in a dark cupboard, but Harry had always been small and skinny for his age. He looked even smaller and skinnier than he really was because all he had to wear were old clothes of Dudley’s, and Dudley was about four times bigger than he was. Harry had a thin face, knobbly knees, black hair, and bright green eyes. He wore round glasses held together with a lot of Scotch tap because of all the times Dudley had punched him on the nose. The only thing Harry liked about his own appearance was a very thin scar on his forehead that was shaped like a bolt of lightning. He had had it as long as he could remember, and the first question he could ever remember asking his Aunt Petunia was how he had gotten it. The skinny smallness and the baggy clothes tell us Harry’s aunt and uncle neglect him. The eyes are his mother’s, as he hears over and over once he’s around people who knew her. 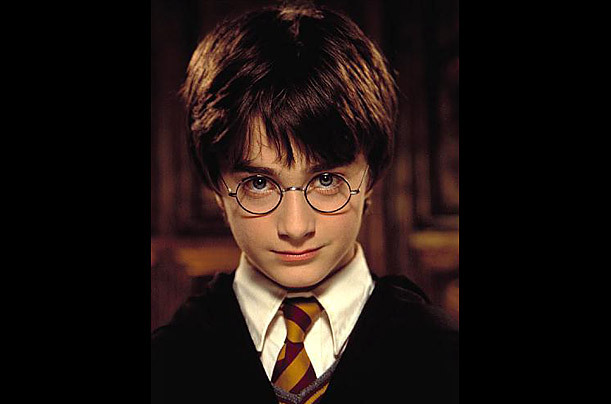 The broken and taped glasses reinforce the neglect and show the bullying nature of Harry’s and Dudley’s relationship. And the scar is PIVOTAL in the entire series. Again, it comes down to the details. If your character’s appearance is important enough to spend words on in the first place, use it to your advantage. Use it to paint more than just a picture. Use it to tell your story. Use it to make your characters come alive. Great post, Elisabeth! I agree that it’s important to keep character descriptions powerful yet limited. Unless it’s crucial to the story or is highly unusual (ex. : Laini Taylor spends a couple paragraphs describing the chimaera Brimstone in Daughter of Smoke and Bone, because he’s 100% not human and we need that extra help picturing him), use just enough so it aids the reader in forming their own mental picture of him/her. It’s something I’m trying to remember for my own writing, too. Thanks, Sara! I find that it can be cathartic for me to write description in the first or second draft, but it’s usually a darling to be killed off before the final draft.